The 99 Perecnt marching in Time Square, 2011. The #Occupy movements spreading across the country and world are taking citizen activism in a new direction – toward a more peaceful, cooperative and hopeful America. 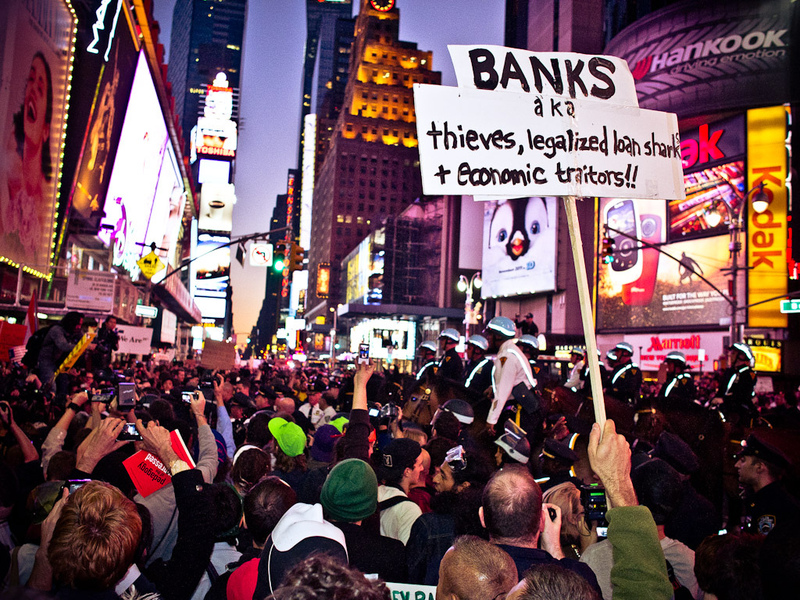 The Occupy Wall Street movement is shifting the political debate and galvinizing broad support for a more equitable economy. And, rather than an isolated band of protesters, the Occupy movement depends on the continuing support of the broader community to keep going. Occupiers are also experimenting with new forms of collaborative, commons-based, genuinely democratic decisionmaking based on mutual consensus and inclusiveness.